I hope everyone had a safe and fun 4th of July! My heart is so full from Tuesday night’s rally. If you missed it, you can see the coverage of the event here and my take on all of it here. I have to say, it was emotional to see the rescue community coming together for the sake of the animals. There are so many organizations in the area, it was incredible seeing most of them represented. The rally was planned by Chicagoland Rescue Intervention and Support Program, or CRISP. I had the opportunity to volunteer with CRISP the other week and I learned a lot. CRISP is comprised of several organizations working together to keep dogs out of Chicago Animal Care & Control (CACC). 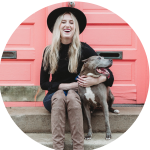 It was founded in 2016 and is the brainchild of One Tail at a Time. The idea came about around the time that canine influenza broke out at our city shelter. Dogs were being surrendered to CACC by their owners and then they would get sick while staying at the shelter. This created a problem when rescues came to CACC to pull them from the shelter and put them into foster homes. Because the dogs were exposed or contagious, the dogs had to go to isolation foster homes meaning there couldn’t be other dogs in the home. Obviously, most people who are fostering generally have their own dogs in their home. It became increasingly difficult to take dogs from CACC and find them homes. 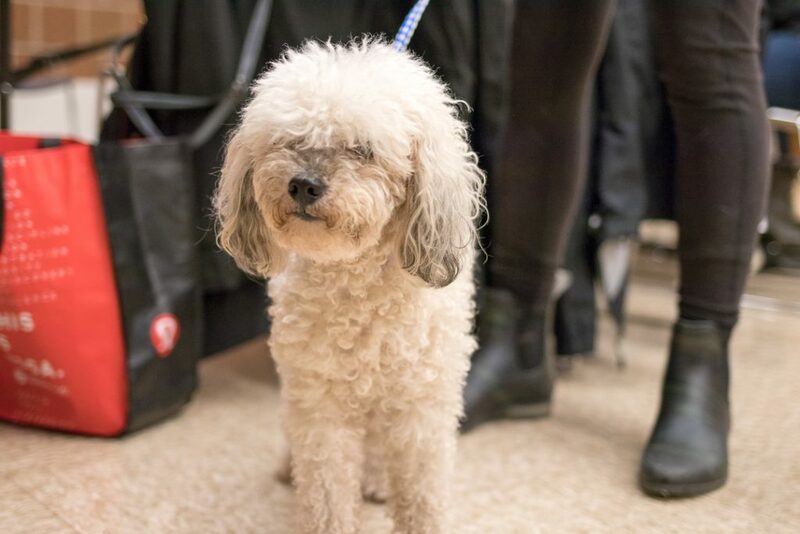 In response, a group of organizations got together and decided they would set up a table at CACC to intercept animals that were being surrendered by their owners. People could come and relinquish their pets and CRISP would assess the dog for health and temperament. If the dogs were adoptable, they would send the pet’s info electronically to dozens of rescue organizations. The goal would be that one of the rescues would step up and take the pet so that it didn’t have to go into the infected areas of CACC. The canine flu is now gone from the city shelter but CRISP continues to work at CACC to help owners and pets. The main reason people come to CRISP is because of health and landlord issues. The overarching goal is to keep pets in their homes. CRISP will work with landlords, trainers, and vets to help find solutions to the owners’ problems. The last resort is to help the owner surrender their pet and try to find it a new home. 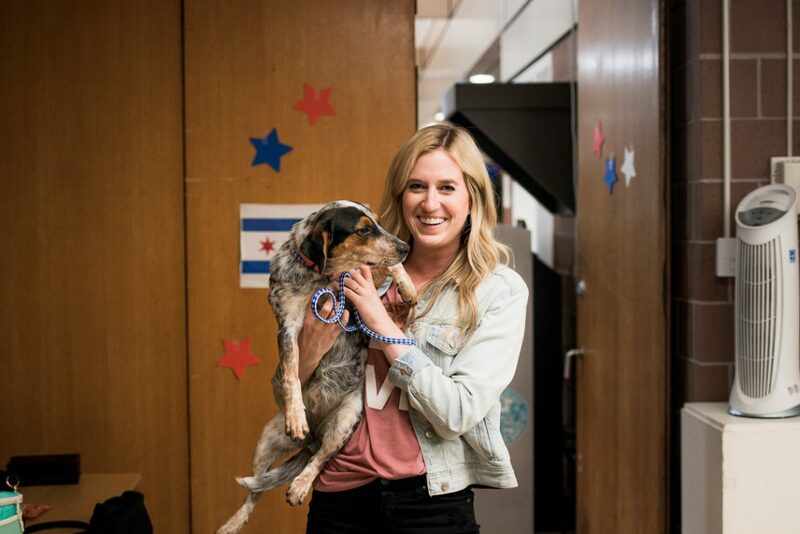 Organizations including Chicago Canine Rescue, ALIVE Rescue, Live Like Roo Foundation, Fetching Tails Foundation, and MCP Rescue switch off volunteering for CRISP. The day I volunteered with CRISP, One Tail at a Time was running the CRISP table. They open at 11 a.m. and when I arrived at 11:15, they were already swamped. Three families had arrived looking for help. Two ended up surrendering their dogs and one received help for their dog they thought had Parvo. Throughout the day, people would come for different reasons. One woman came in with a cat that had been attacked and CRISP sent them out to a vet that would help at a reduced cost. While I was there, there were four dogs surrendered to CRISP, a pit bull mix named Bella, a senior poodle mix named Rex, a young cattle dog, and a two-year-old pit bull mix. Bella, Rex, and the Cattle dog were all sent to rescues. Unfortunately, the two-year-old was too cage-reactive to handle so CACC needed to assess her before she could be deemed adoptable. The hardest part of the day was when a man came in at 3:30 to ask if there was temporary housing available for his puppy. The puppy was causing a disturbance and his landlord was demanding he remove the puppy. Unfortunately, there is currently no temporary housing available through most rescues so the man decided he would surrender the dog. CRISP only works until 4 p.m. but was willing to start the necessary paperwork to take possession of the dog. 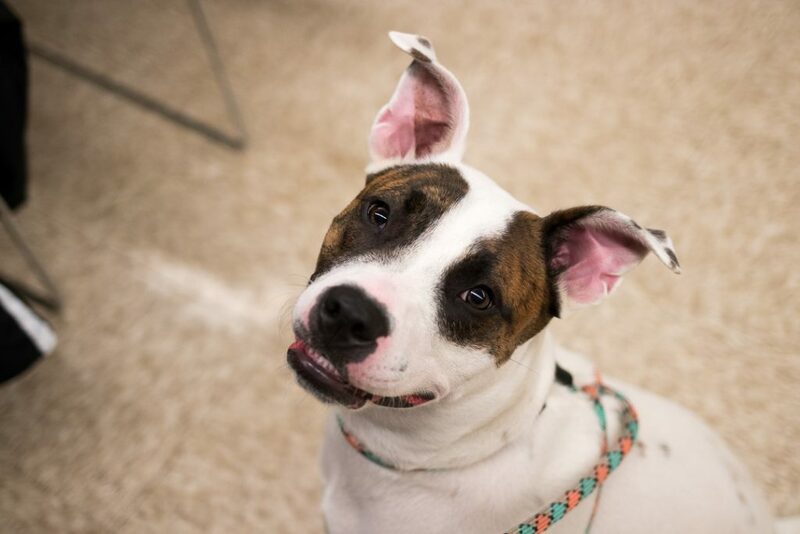 After any dog is surrendered to CRISP, owners must also fill out paperwork through CACC. The man said he had to be at work by 4 p.m and didn’t have enough time to complete the process. We asked him to come back the next day and CRISP would work to find the puppy a rescue. He never came back. Something I learned was how quick we can be to judge in the rescue world. When I see a kennel card stating “owner surrender” hung on a dog’s cage, it’s easy to be angry at the owners. What I learned at CRISP is that the majority of the time, they don’t want to give up their dog. Often they’re faced with circumstances that are beyond their control. It’s the tearful goodbyes and the lingering hugs that are the hardest to watch. Something inside you shifts and you understand that while yes, some people aren’t doing good things, most of these owners love their pets deeply. CRISP volunteers are compassionate and don’t judge what circumstances the animals come in under. They focus on doing what’s best for the animal and people in need. From 11 a.m. – 4 p.m. we worked to help the animals that are in need. The volunteers found veterinarians, tried to work through landlord issues, offered training classes, and networked surrendered dogs to rescue organizations. Chicago Canine Rescue took Rex, Fetching Tails Foundation took Bella, and the cattle mix went to Mending Hearts Rescue. Staying focused on the positive outcomes really helped to deal with the harder parts of the day. Knowing we kept three dogs out of CACC was an incredible feeling. Currently, CRISP is onsite at CACC four days a week. However, with such success and need for their program, they recently announced they would be onsite seven days a week! 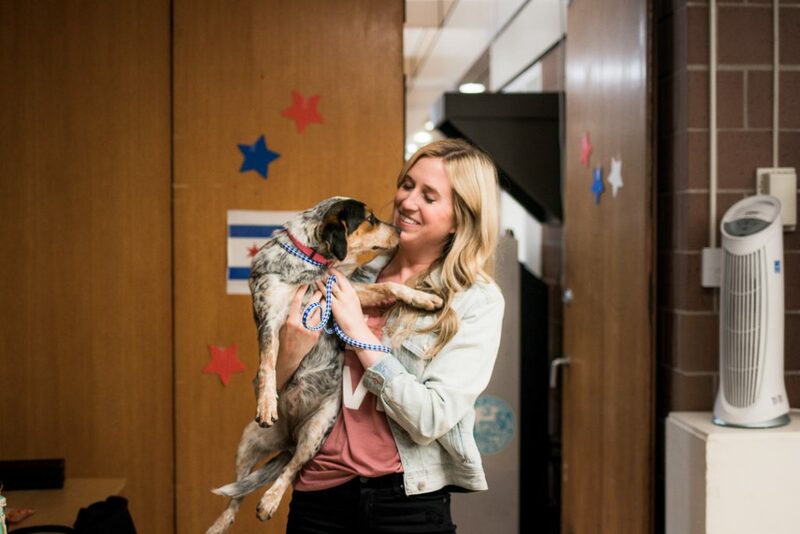 This is a huge win for Chicago animals. It keeps healthy, adoptable pets out of the shelter and frees up space for strays and animals that need a bit of time to adjust. Volunteering at CRISP is a rollercoaster of emotions. You don’t know what’s going to walk through the door and how you’re going to react. Luckily, I was with an extremely experienced group of volunteers including Sarah Gaziano. Sarah is a dog trainer that works with dogs at One Tail at a Time is the head of CRISP when OTAT runs the table. 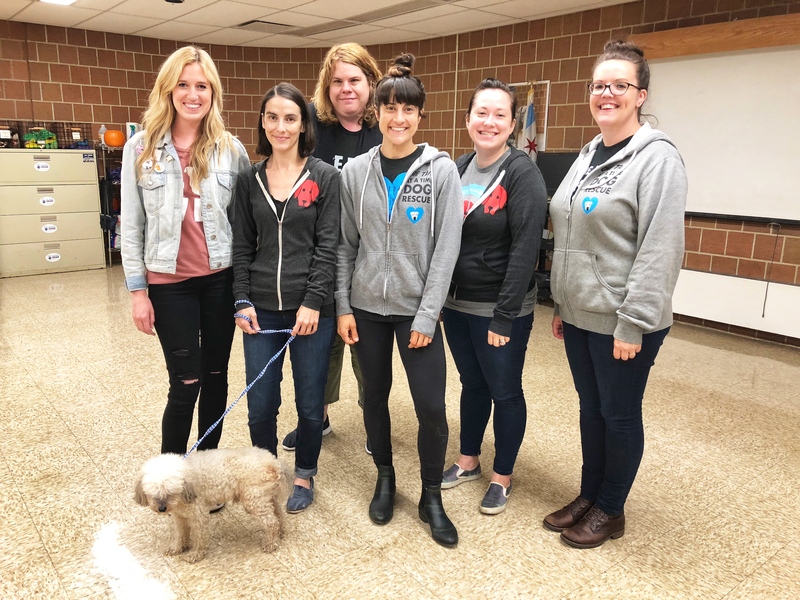 Experiencing CRISP with ladies (all ladies) who knew what they were doing and have been helping the Chicago community for years was comforting. I tried my best to stay out of their hair and help when I could. A huge thank you to CRISP and One Tail at a Time for letting me experience a day with you! To volunteer with CRISP, sign up to volunteer through any of their rescue partners mentioned above. It was a long but rewarding day and you can see the direct impacts of your efforts. Rex – This boy came in needing some very serious dental work, and Dr. Tammy Schmitt who owns Animal Hospital of McHenry, gave this boy the most beautiful smile. Rex is now available for adoption and would be a good fit in almost any home. He’s blind and deaf so he would like someone who can help him live out his golden years. For all Rex’ details, click here. Bella and Cattle Girl should be available for adoption shortly once the vetting process is complete.